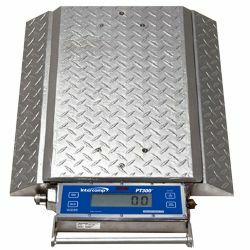 Intercomp PT300 scale system includes either 2, 4, or 6 platform scales along with interconnecting cable. Charger cable is also included in the system. On top of all that, the carrying case is also a part of the Intercomp Wheel Load Scale System. Add optional wireless indicator for a complete package. Save money by buying a wheel load scale system as a complete package. System includes either 2, 4, or 6 platform scales along with interconnecting cable. Charger cable is also included in the system. On top of all that, the carrying case is also a part of the Intercomp Wheel Load Scale System. 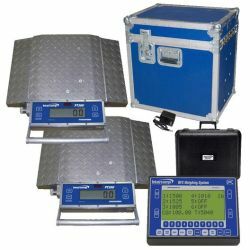 The display can be lit for night use and it is possible to sequentially couple and number of PT300 scales in the series for the purpose of obtaining a total vehicle weight through the total button as well as link the scales to a computer, indicator, or Intercomp's PT20 Universal CPU. 22" PT-300DW also available. The portable wheel weigher systems are also available in wired and wireless configurations to best meet your needs. Please note that Intercomp is always improving their products, so some of this information may change over time due to product enhancements and adjustments that the factory makes. For example, Intercomp has added solar power to their product line. Solar Power Provides up to One Year of Battery Life with Daytime, Outdoor Use. We always ship our Intercomp items direct from the factory, so you are getting factory fresh, latest and greatest. Includes: Two/four/six scales with 20mA output, interconnecting cable, charging cable and carrying case. 12" wide platform accommodates single tire (outside tire in dual wheel configuration) or choose PT300DW wide scale platforms. Includes: TWO Scales with wireless communication, Totalizing Cable, Charging Cable and Storage Case. 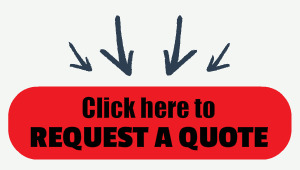 Specify the appropriate battery charger for your application. Includes: FOUR Scales with wireless communication, Totalizing Cable, Charging Cable and Storage Case. Specify the appropriate battery charger for your application. Includes: SIX Scales with wireless communication, Totalizing Cable, Charging Cable and Storage Case. Specify the appropriate battery charger for your application. Includes: Two/four/six scales with wireless communication, totalizing cable, charging cable and carrying case. 22" wide platform accommodates dual wheels and oversized tires.